After serving with the United States Marine Corps in Korea, James McCray attended the Mannes School of Music in New York City. He then won the Metropolitan Opera Auditions, the American Opera Auditions and many other awards, including the Sullivan Foundation and the Rene Schon Awards. He made his professional debut at the Stratford Ontario Festival in Canada. He sang Jimmy in Kurt Weil’s and Berthol Brecht’s Mahagonny, under the direction of the great French-Canadian actor Jean Gascon. Following three years at the Israeli National Opera singing over 300 performances of such roles as “Riccardo” in Ballo in Maschera, “Don Jose” in Carmen, “Cavaradossi” in Tosca, “Canio” in I Pagliacci, “Manrico” in Il Trovatore and Samson. He then returned to New York and made his Lincoln Center debut by replacing Placido Domingo in Giordano’s Fedora under the baton of Eve Queller. 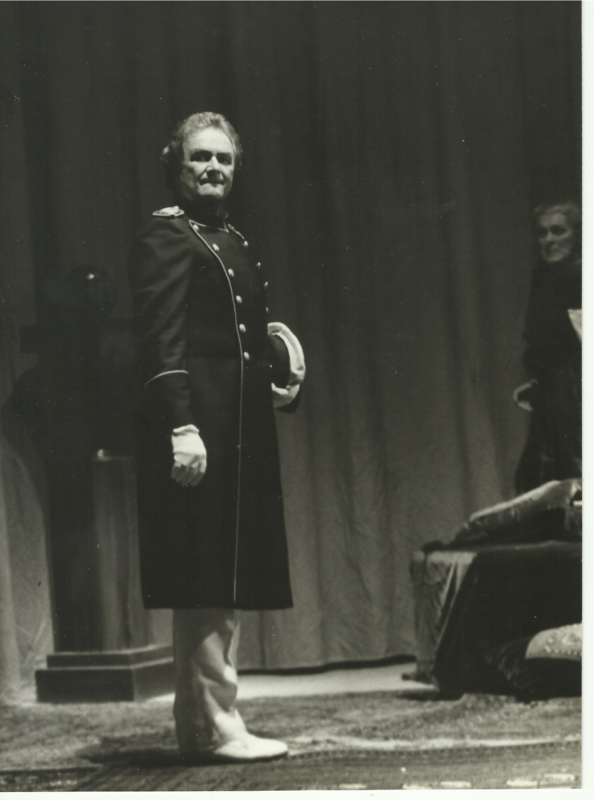 Mr. McCray was engaged for three consecutive years (1974-1976) by the Greater Miami Opera Association where he sang in the Crucible, The Flying Dutchman and Otello, all conducted by Emerson Buckley. During the same years Mr.McCray was the principal tenor at the St.Paul Minnessota Opera Festival.He sang in Carlyle Floyd’s Of Mice and Men, La Fanciulla del West and Carmen with such american singer as: Nancy Wilson, Jeanine Crader and Vern Shinall. In the same Festival he sang Die Walküre and Siegfried which were the first installments of the Gramma Fischer Ring Cycle, conducted by Edwin MacArthur which was later produced in Seattle. In 1975 he opened the Seattle Ring Festival as Siegfried with Anna Green as Brunhilde and George London as stage director. He then returned to Seattle for three seasons singing “Siegmund” as well as “Siegfried” and Götterdämmerung, in addition to “Don Jose” in Carmen. He also sang “Rienzi” in its first stage production in 90 years in San Antonio Texas ,with John Mauceri as musical director, where he had the opportunity to meet and become friends with Friedelind Wagner. During the same period he made his debut at the San Francisco Opera as Manrico in “Il Trovatore” and The New York City Opera as Don Jose in “Carmen. In 1979 Mr. McCray returned to Lincoln Center to sing Rossini’s “Mosé in Egitto” with Justino Diaz as his father. Later at the The New York City Opera he sang Avito in Montemezzi’s “L’amore dei tre Re” with Samuel Ramey, conducted by John Mauceri with regie by Frank Corsaro. This role he had previously had sung at Kennedy Center in Washington D.C with Carole Nebbet and Jerome Hines. Also during this period Mr.McCray sang many orchestral concerts with such conductors as Zubin Metha, James Levine, Charles Wilson, Brian Priestman, among others. He also sang in concert the first act of Richard Wagner’s Die Walküre with several different sopranos among whom were Eileen Farrel, under the musical direction of Charles Wilson, Jessye Norman and Johanna Meier.In addition to these concerts, Mr McCray sang the 3rd act of Tristan and Isolde with the Philadelphia Orchestra in Saratoga New York under the direction of Denis Russel Davies, with Deborah Polaski as “Isolde”. At the urging of Jessye Norman, James McCray joined Giancarlo del Monaco in Kassel, Germany in september 1981 for Otello and Tristan. In april that year, he had sung Parsifal at the Dutch Opera in Amsterdam under the musical direction of Edo de Waart. During this period he had the opportunity to study with Mario del Monaco and his wife Rina at Villa Luise in Lanceniego (Italy). Previously Mr.McCray had studied with Raymond Buckingham, a protégé of the great Italian baritone Riccardo Stracciari. One of the most major influences on Mr. McCray was the great American soprano Patricia Newway, the original “Magda” in Giancarlo Menotti’s “The Consul”. He studied all the basic concepts of operatic acting with her at the Mannes school in New York City. During the 80’s and early 90’s Mr.McCray sang in varoius European Theaters including Berlin, Hamburg, Munich, Copenhaguen, Amsterdam, Barcelona, Prague, Catania, Cagliari, Oslo, Rouen, Toulon, Nantes, Angier, Orange and Bordeaux among others. 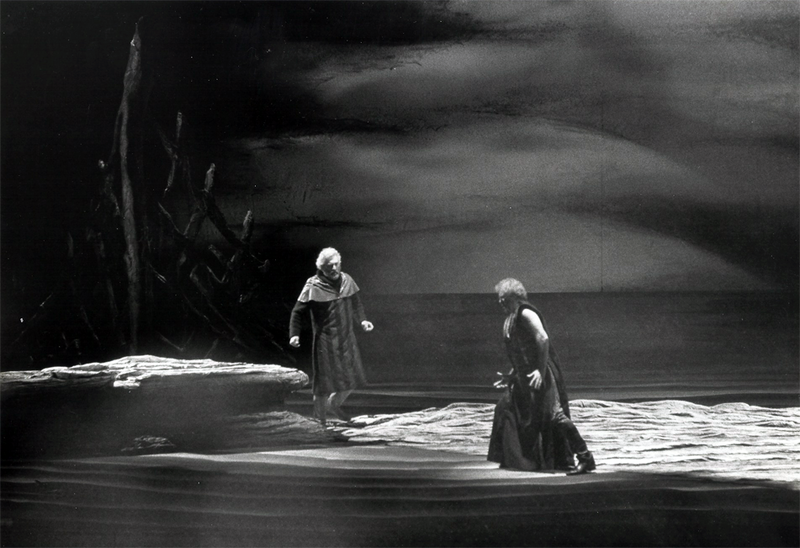 In addition to singing “Sigfried” in August Everding’s Ring in Warsaw, Poland in 1989 and 1990, he has sang over 100 performances of Tristan and Isolde including a production in Brussels with Gwynneth Jones,conducted by Sylvan Camberline , L’Opera de Montreal with Berit Lindholm regie by Roberto Oswald and costumes by Anibal Lapiz , and in Nancy, France, with Liesbeth Baltslev and in Freiburg (Germany) with Deborah Polaski, singing her first Isolde.And in Bordeaux (France) with Linda Kelm, conducted by Pincus Steinberg and sets and costumes by Daniel Ogier. With the stage director Giancarlo del Monaco he has performed the principal tenor role in several productions including Otello, Il Tabarro and Tannhäuser,with sets and costumes by the great designer Michael Scott. In Europe, Mr. McCray has worked under the musical direction of Edo de Waart, Kent Nagano, Alain Lombard, Jose Lopez Cobos, Gerd Albrecht, Pincas Steinberg, Adam Fischer, Sylvan Camberling, Woldemar Nelson, Hans Wallat, Marc Suistrot, Bruno Weil, Alexander Sander, Matteus Kunsch and Eugene Kohn among others. Mr. McCray has sang every Wagnerian opera for heroic tenor, from Liebesvertod and Die Feen to Parsifal. Mr. McCray has sang the Wagnerian repertoire in various Italian opera houses including La Fenice in Venice, where he also sang Fritz in Franz Schreker’s Der Ferne Klang with Sylvia Sass, under the musical direction of Gabriele Ferro. During this period Mr. McCray sang in several productions of Otello in theaters such as Split, Hamburg, Zagreb, Graz, Gent Liege, Prague, Bratislava, and Miami Florida. In october 1995 Mr. McCray was invited to Novi Sad in Yugoslavia to sing a humanitarian concert and prepare some of his singers, including Frank Van Aken for the production of Werther. At the same time, he sang Canio in Pagliacci in Novi Sad where he met his wife Prizrenka Petkovic McCray. Mr. McCray’s last performance was Pollione in Bellini’s “Norma” with the great yugoslavian soprano Radmila Bakocivic at the May Festival in Skopje, Macedonia in 1996. Since then he has been teaching in Yugoslavia, Italy, Germany, San Francisco (California) and in The Hague. 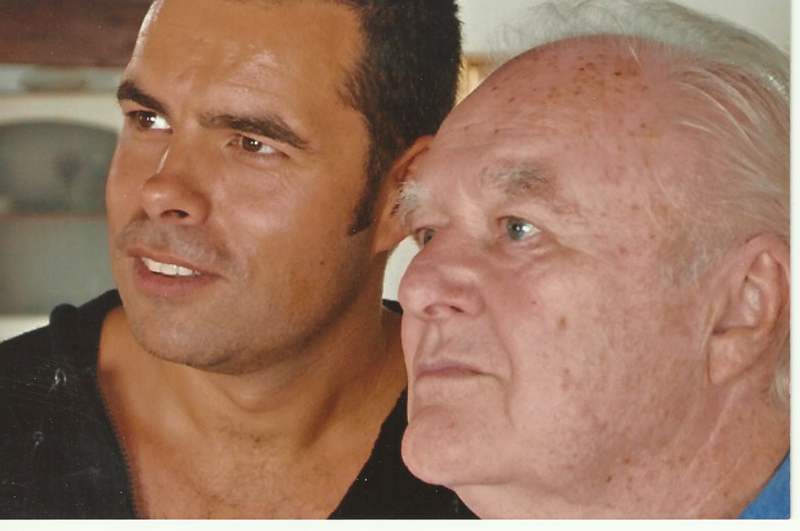 Since the beginning of 1997, at the kind introduction of Professor Jan Glastra van Loon, James McCray, his wife Prizrenka and daughter Violetta, have been living and teaching in Mr.van Loon’s home, at Bazar straat 15 in The Hague. After a thirty five year career as a world class tenor singing some two thousand performances of major operatic roles from New York to San Francisco, Seattle, Tel Aviv, Amsterdam, Munich, Copenhagen, Barcelona etc, James McMcray began his teaching career in 1994 while still maintaining a busy singing schedule. His first student is the American/Iranian baritone Anooshah Golesorkhi, who after singing in most of the major opera houses in Europe, made his Metropolitan Opera debut in February 2000 singing the title role in Giueseppe Verdi’s Nabucco. Mr. McCray’s next students are the Dutch singers: Jako Huijpen, Frank Van Aken, Eva Maria Westbroek and Nanco de Vries. During this same period, he began to work with his stepdaughter Violetta Lazin, who had been working with her mother since she was fourteen years old. Some years ago, after his tragic accident, Marco Bakker came to study with Mr. McCray on the title role of Verdi’s opera “Macbeth”. After a few months, his voice returned to even more than its former potential, allowing him to achieve a major triumph in his so called comeback. Some of the McCray studio’s students include: Bastiaan Everink, Hans de Vries, Nanco de Vries, Kor-Jan Dusseljee, Darren Fox (†), Marie Claire Optenoort, Peter Schoenaker, Jean Leon Kloesterman, Liene Kinca, Tanja Van der Werve, Kimdeja Van Der Linden, Charlotte Quadt, Fernand Bernadi, Ronald Rijkstra, Gijs Nijkamp, Charlotte Riedijk, Marco Bakker, Jorge Castro, Denis Wilgenhof, Mario Sandrie, Larysa Molnarova, Alison Metternich, Adil Abdullaev, Mark Morouse, Pierre Alexandre, Geert Peeters, Jitske Bras, Anthony Heidweiller, Timothy Simpson, Alan Razzak, Martijn Sanders, Sebastian Brouwer, Martina Straesser, Bernadette Ter Heyne, Marianne Selliger, Anja Wilbrink, Margriet Van Reisen, Tomasz Dziecielski, Ingrid Vermeulen, Roy Mahandratha, Elise Keep, Barbara Schilstra, Violetta Lazin, Zoe Albrecht, Teodora Karas, Stephanie van der Goes, Jessey-Joy Spronk. During Mr. McCray’s years in Yugoslavia, his many students included Branislav Vukasovic, Igor Ksionzik, Dejan Herakovic. Mr. McCray’s years in Yugoslavia were made very much easier because of his friensship with two great men: Zoran Petrovic and Pavle Savin, and the family Petkovic. As a matter of interest, after only six months of studying with Mr.McCray, Frank van Aken and Eva Maria Westbroek accomplished almost the unimaginable, they both won a competition in Rome (Italy), and as the prize, they were awarded a production of Puccini’s Tosca, which they performed in October 1995. A very auspices way to begin a career. After Rome, these two singers along with Nanco de Vries and Mr. McCray, at the invitation of the director of the Opera in Novi Sad (Yugoslavia) sang a gala evening of Cavalleria Rusticana and Pagliacci. During the same period Mr. Van Aken sang the title role in Massenet’s Werther and Ms. Westbroek, in addition to Santuzza in Mascagni’s “Cavalleria”, sang the title role in Puccini’s “Tosca”. It was there that Mr.McCray met and then married Prizrenka Petković McCray. Prizrenka Petković McCray was already at the age of 17 one of Yugoslavia’s most beloved TV actresses. At age 20 she went to The Bucharest academy in Rumania to study with the legendary soprano Magda Janculescu. After receiving her diploma with honours, she returned to Yugoslavia and dominated the concert stages there for 20 years. In addition to that and her operatic career she was also for a period of 20 years, one of Yugoslavia’s most famous and successful teachers. It was actually her idea to create the McCray Studio of Vocal Arts and to this day her partnership and collaboration with Mr. McCray is apparent to everyone, especially the students. 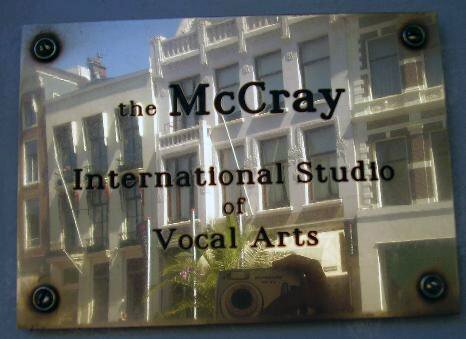 This McCray Studio of Vocal Arts moved to Holland in 1997 at the invitation and indeed insistence of many Dutch singers all of whom are mentioned above. James J. McCray passed away on January 30th, 2018.